Hi friends! You may not know this, but I love to paint and especially love painting with watercolors. I’ve always wanted to share my art but I didn’t know how to scan them and edit them to create high quality downloads. Lucky for you, I finally invested the time to figure that out! 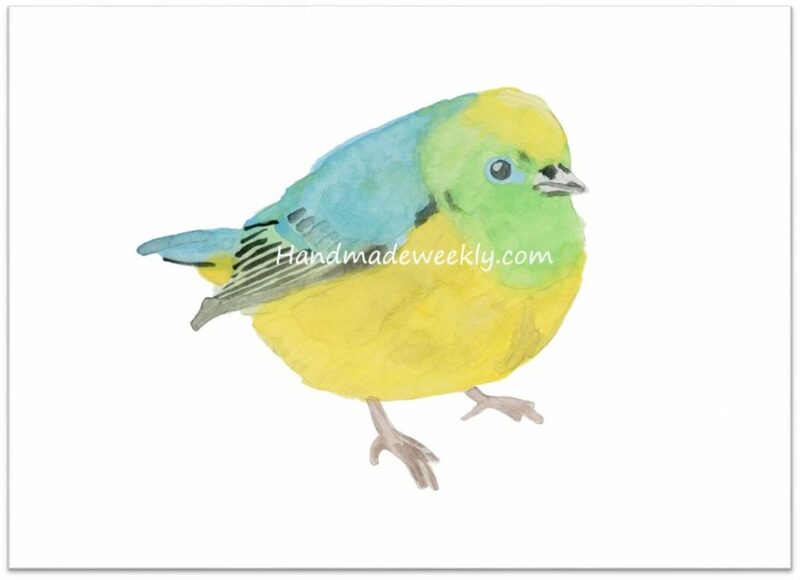 For my post this week, I am sharing this cute watercolor bird print as a free download. It’s a colorful print that is super versatile. I think it would look so cute in a nursery or even as decor in a grown up space! 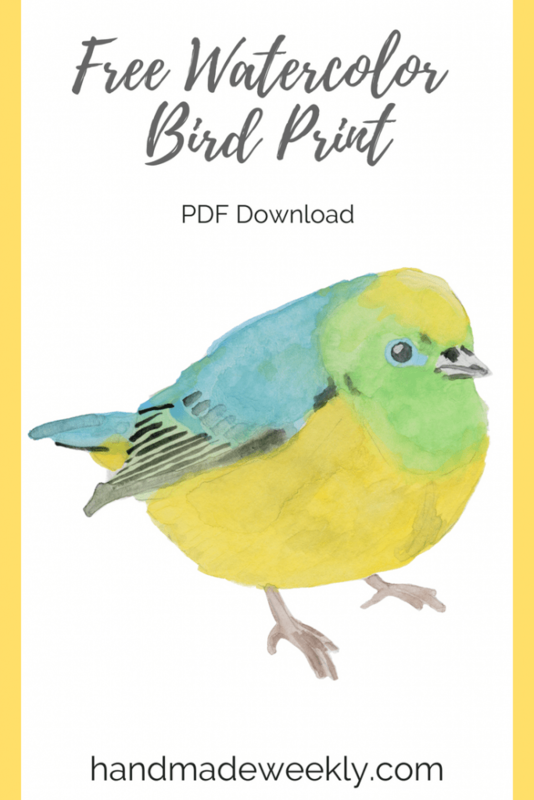 If you want to download this bird print, head over to my free resource library page and scroll down to the prints section. My free downloads are available exclusively for my subscribers. If you have yet to subscribe, don’t fret, it’s super easy! Just click here and enter your email. From there you’ll get a confirmation email with a special secret password to access my free resource library page. I hope that you all enjoy this print as much as I do. Do you have a specific animal that you tend to over-decorate with because you just can’t get enough? If so, I’d love to hear about it in the comment section! Also, if you display this print in your home I wouldlove to see it in your space. 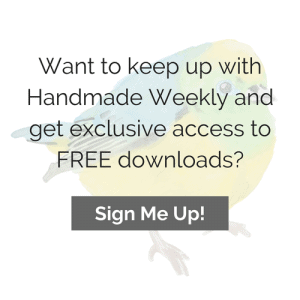 Use #handmadeweekly on social media so that I can find your photos. You may even get a feature (credit back to you of course).